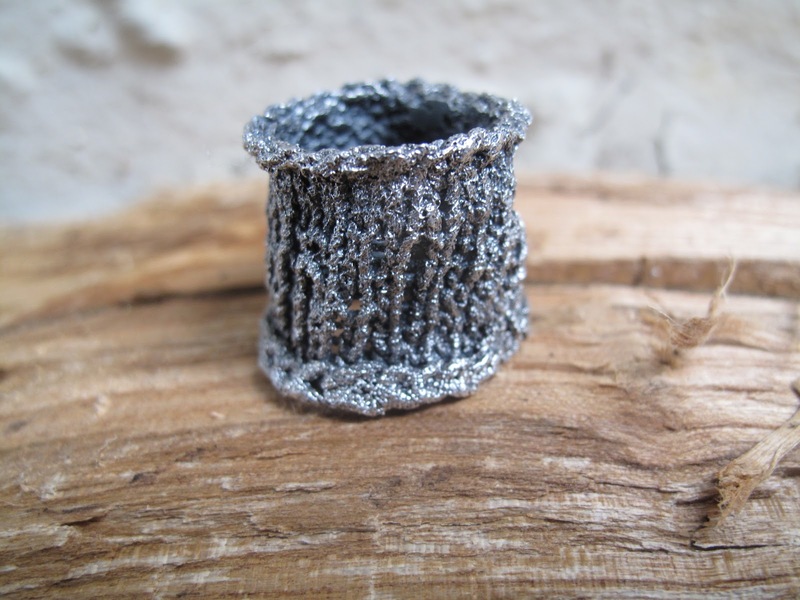 Recently, while trawling through Etsy for a gift I came across some amazing knitted jewellery. 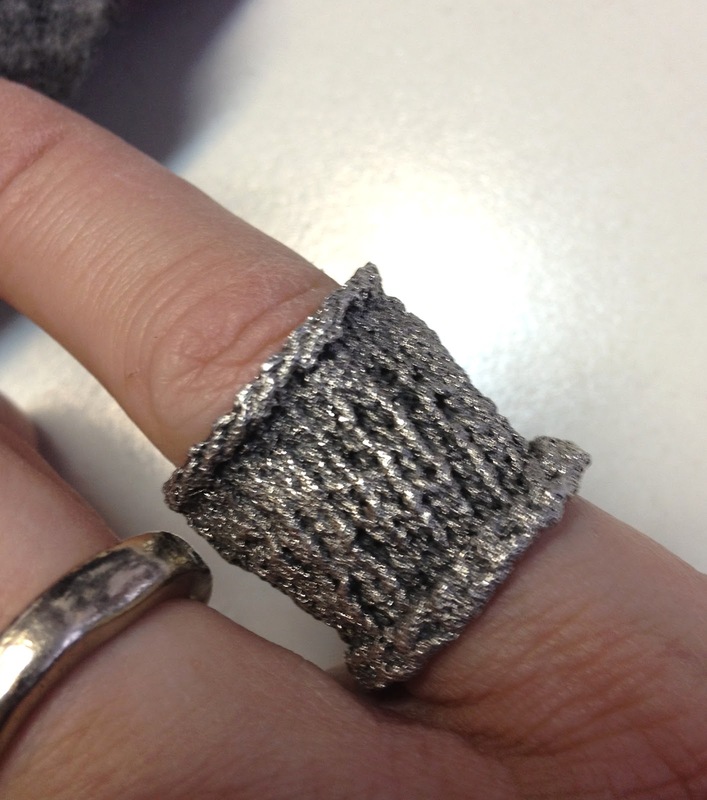 What I mean by that is a piece of knitting that was cast in silver rather than knitted in silver wire. Having just started going to a new jewellery class I had a chat with my teacher, Rachel Jeffery to find out if I could use this technique in one of my own creations. She encouraged me to knit a sample and she would send it off to a company who cast metal for some of the most luxury brands in the world. The sample was knitted in Noro Sekku on 2mm needles in the round. When it came back Rachel was so excited she called me straight away. And here it is. I have oxidised my sample to bring out more of the stitch texture. The really cool thing is that there is now a mold so I can cast more in pretty much any metal. The picture is not brilliant but it was taken on my iPhone. This really was just a test and I didn’t expect anything to come of it but now I know what can be achieved I am really inspired to try more – I think I may try a thicker yarn next time.